Looking for the Best Car Speakers for Bass? Looking for the best car speakers for bass? You don’t have to sacrifice your trunk. Estimated read time: 10 minutes 38 seconds. Want to read later? This is kind of a trick question. The best car speakers for bass are….subwoofers! 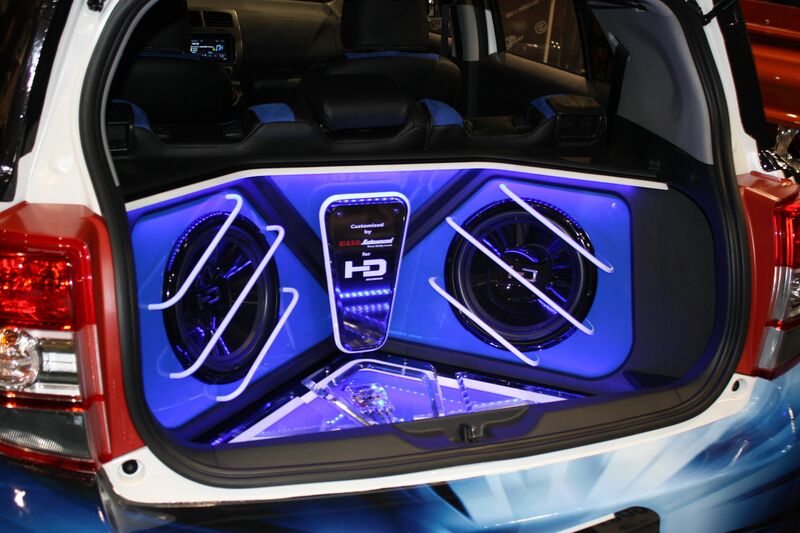 Adding a subwoofer to your car audio system is one of the easiest way to enhance your car sound system. You’ve simply got to add back in what’s missing. I’m talking about a bass. And to accurately reproduce those natural bass frequencies, you need a large surface area. Something larger than your average 6.5″ car speaker. Additionally, you’ll also need a decent amount of power to push this speaker. In other words, you’ll need an external amplifier. Now, before you cringe at the words “amplifier” and “subwoofer” – like most of my adult/professional/non teenaged customers do when they first hear me say this – let me describe what adding a subwoofer actually does and doesn’t do. And If you think you’re too old for a subwoofer, think again. I think it’s safe to say that everyone – regardless of age, demographic, gender, etc. – can appreciate accurate and natural sound reproduction. Adding a subwoofer enhances your car audio system by creating more natural and lively sound reproduction. You’re just adding back in what’s missing. These lower bass frequencies naturally occur when someone is playing a bass guitar, or pedaling a kick drum or strumming a cello. Even premium 6.5″ car speakers are typically missing an audible presence of a whole range of naturally occurring frequencies. These frequencies are usually at the lower end of the spectrum, around 40 – 80 hertz, also known as bass. This lower frequency range is best reproduced by a speaker with a large surface area. Subwoofers are able to produce these frequencies with an audible presence with the assistance of an external audio amplifier. Adding a subwoofer to your car audio system doesn’t necessarily mean you’ll be rattling your rear view mirror and trunk lid or drawing attention to your car at stop lights. You could if you wanted to, but most people are not trying show off – they’re concerned with how it sounds on the inside of the vehicle. You’re looking for an easy way to improve your car stereo system, right? Know that when installed, set up and tuned properly, that’s exactly what adding a subwoofer will do for you. Normally in my showroom, I just demonstrate this on our sound board. It’s fun to watch a customer’s initial cringe shift to raised eyebrows, pleasant surprise and curiosity. Most people don’t realize this is what they’re missing until they hear it. Great question. Let’s explain why. The human ear is capable of hearing frequencies in the range of 20 Hz to 20,000 Hz. What we are actually hearing are pressure waves. The lower the frequency, the longer and larger the wave length. 20 Hz is 20 cycles per second. The higher the frequency, the tighter and shorter the wave length. 20,000 Hz is 20,000 cycles per second. The average size of a car speaker these days is 6.5″. So let’s look at what frequencies the average 6.5″ speaker is capable of reproducing. Let’s take a basic 6.5″ coaxial speaker like this Alpine Type S speaker. This speaker is considered an upgrade over your average stock speakers. According to Alpine, it is capable of frequencies in the range of 70Hz – 22,000Hz. Notice it starts at 70Hz. So for arguments sake, right off the bat you are missing between 20Hz -69 Hz. Alpine may tell you the frequency range the speaker is capable of, but they don’t tell you at what sound pressure level or what volume? This will depend on the amplifier and how much power is being put to the speaker. Yet, even with the recommended 75 watts RMS power supplied, it may only be capable of reproducing 70Hz at a minimal audio level. One that may be hard to hear compared to the audio level of the other frequencies it is reproducing. This is going to be pretty much the same story for any 6.5″ speaker. Even a set of premium Morel Hybrid 2 way speakers that are capable of frequencies as low as 50 Hz are going to be audibly lacking in this lower bass frequency range when compared to a 10″ or 12″ subwoofer. The difference is in the audible level. Especially in an automobile which generates road noise and tire noise in the 40 – 60 Hz range. You need to be able to reproduce these frequencies with enough volume to overcome things like road noise and still be noticeably present and naturally blended into the volume level of the rest of the audio system. How much of this natural frequency range is missing? In my experience, for most vehicles, you would want to add an amp and subwoofer in the 250 – 600 watt RMS range. It will really depend on what type of car you have and what kind of space you have to work with. 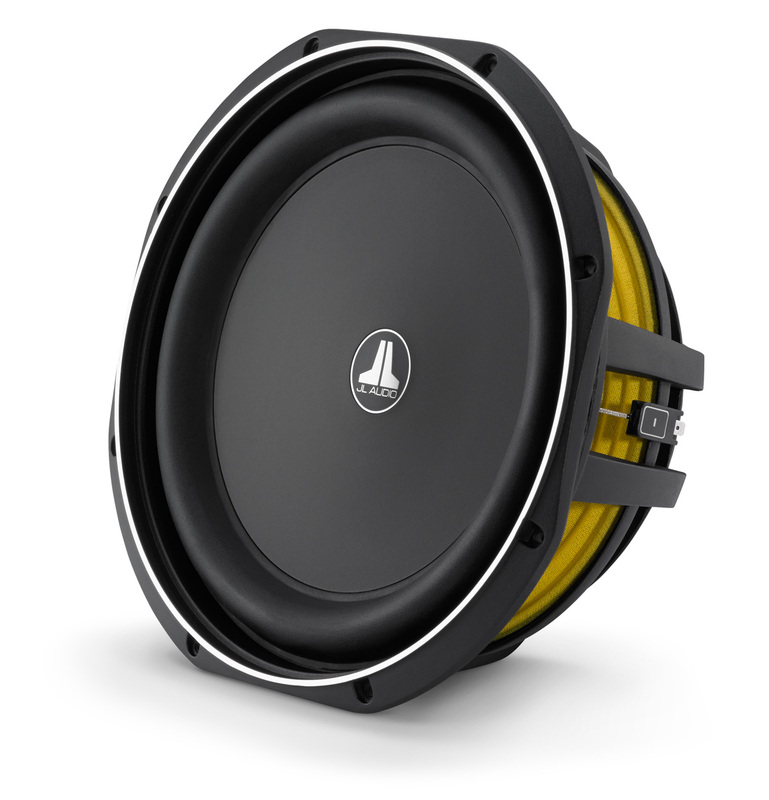 I would say that most pick up trucks and hatchbacks would benefit from a single subwoofer, either an 8″ or 10″ around 250 – 400 watt RMS. Some personal favorites are from JL Audio. 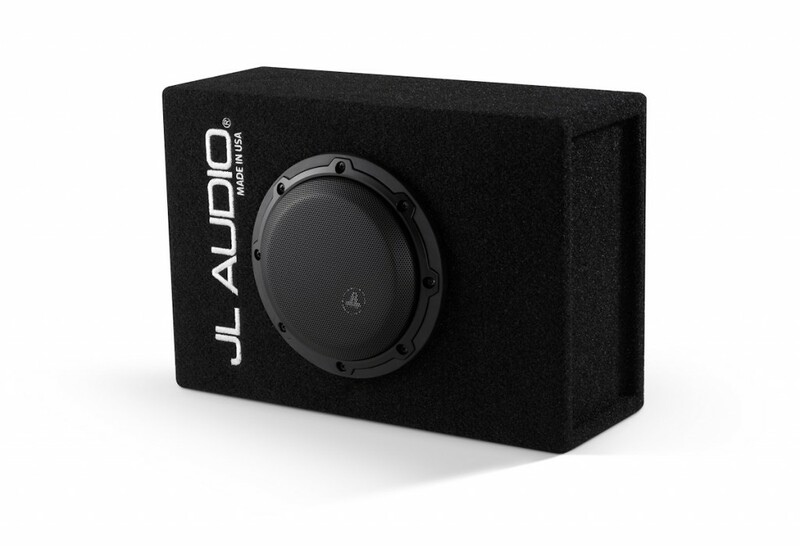 My favorite space saving, but high performing 8″ subwoofer is the 8w3 which JL offers in this great enclosure which measures in at only 18 5/8″ x 11″ x 5 1/8″. The 8″ CP108LG-W3V3 is a ported enclosure. Ported enclosures tend to be more efficient than sealed and tend to provide more output in the 50 Hz range compared to a sealed enclosure. However, sealed enclosures tend to be tighter and punchier than ported. If you have room for slightly more than this, consider their 400 watt RMS 10″ TW3 subwoofer conveniently offered in their own enclosure, either in an angled hatchback style or flat rectangular box. The 10″ TW3 enclosure shown below is sealed. Because it is a 10″, larger surface area, it does extend slightly lower and deeper than the 8″ option discussed above. JL Audio’s 10″ TW3 offers sound quality and performance in a unique space saving design. 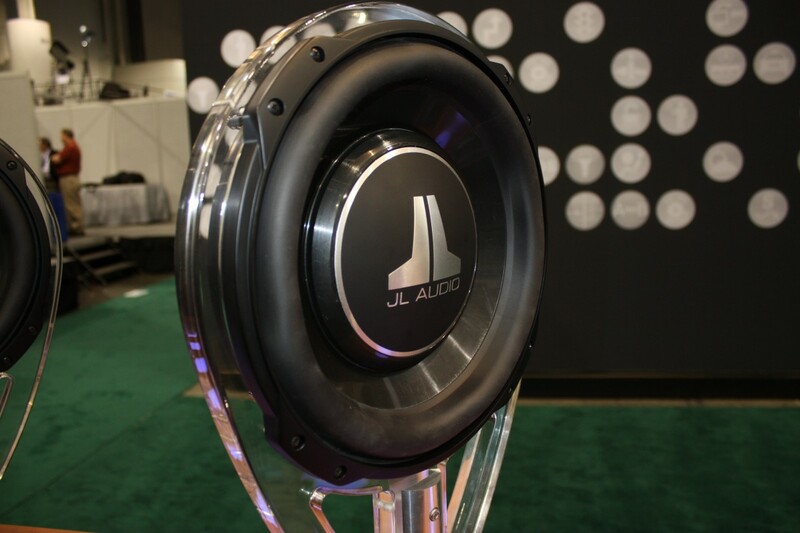 The TW3 line is a perfect example of the many innovations we’ve seen from JL Audio. Everyone wants the best car speakers for bass, but very few people want to give up a large amount of trunk space to achieve this. 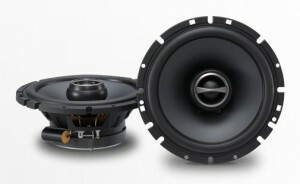 The design of the TW3 subwoofers is unique to JL Audio. They first debuted the technology in 2007 with their TW5 series. They hold several patents on the technology and have started implementing it in several new subwoofer models. The end result is a very shallow subwoofer that requires very little airspace to operate from and yet still delivers an outstanding performance. They’ve managed to accomplish this without sacrificing sound quality and this is something I truly feel is unique to JL Audio. If you have very little space to work with and a small open cab such as a 2 door mini cooper or single cab pickup truck (don’t put this in a trunk of a large 4 door sedan and expect to be thoroughly impressed) consider the 6″ W3 microsub which is the smallest, best sounding subwoofer with prefabricated enclosure that I have heard professionally. Like the 8″ microsub enclosure discussed above, this is also a ported enclosure. 6″ W3 with microsub enclosure. The ultimate compact subwoofer and enclosure – this is great for small cabin vehicles and tight spaces. What works best in sedans or coupes? The options mentioned above are probably best for open cabin vehicles such as wagons, SUV’s, pickup trucks or hatchbacks. When your only placement option for a subwoofer is in the trunk of a sedan or coupe (which is sealed and closed off to the interior cabin), you’re better off going for more power and/or more surface area. Some vehicles conveniently have a center armrest/skibag area that can be folded down and act as a port into the cabin. In this case, you may find the 10″ TW3 performs well with the armrest open, but shut the armrest and maybe not so much. So to err on the side of caution, in sedans and coupes I usually recommend going with either a single 12″ subwoofer or two 10″ subwoofers and staying in the 400 – 600 watt RMS range. 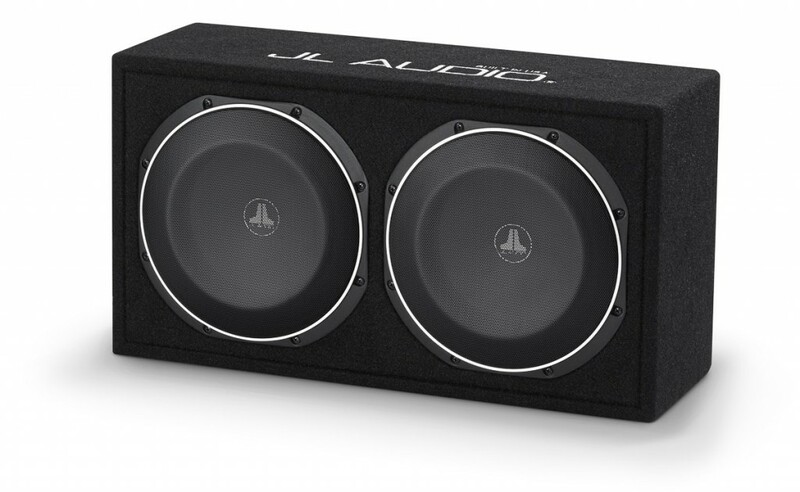 JL Audio’s new TW1 subwoofers handle slightly less power than the TW3 at 300 watts RMS a piece, however they require even less volume to perform. The TW3 operates in an enclosure with a volume of .5 cubic feet. The TW1 only requires .35 cubic feet. That’s the same as the 8″ W3! 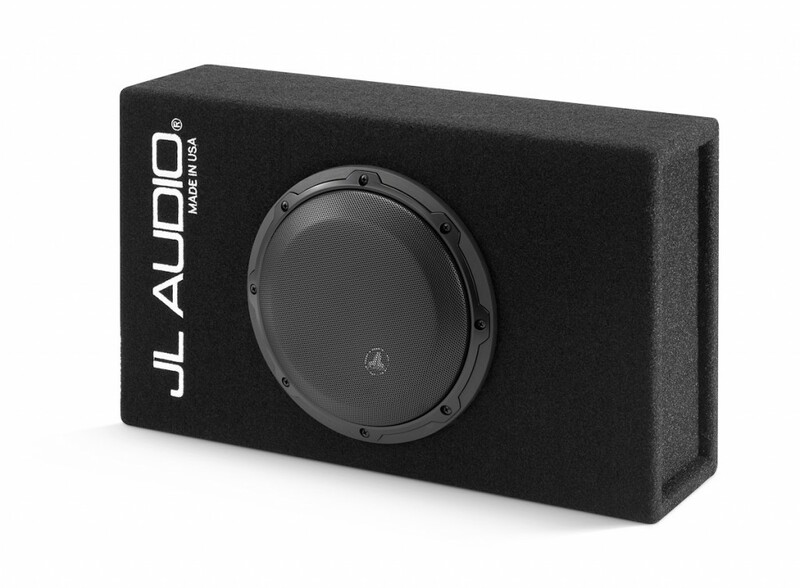 JL Audio’s new TW1 subwoofer requires only .35 cubic feet to perform! To learn more about JL Audio’s patent pending, space saving design and performance, check out this video featuring JL Audio’s own Manville Smith, VP or Marketing. For a space saving, sound quality subwoofer enclosure in a sedan or coupe, I would recommend either the dual 10″ TW1 enclosure or dual 12″ TW1 enclosure. Dual 10″ TW1 Enclosure – 600 watts of power handling, 20″ of subwoofer in a little over 1 cubic foot! Also, made in America! This new enclosure from JL Audio is the most impressive I have seen and heard to date. It’s sound reproduction is tight, punchy and natural. 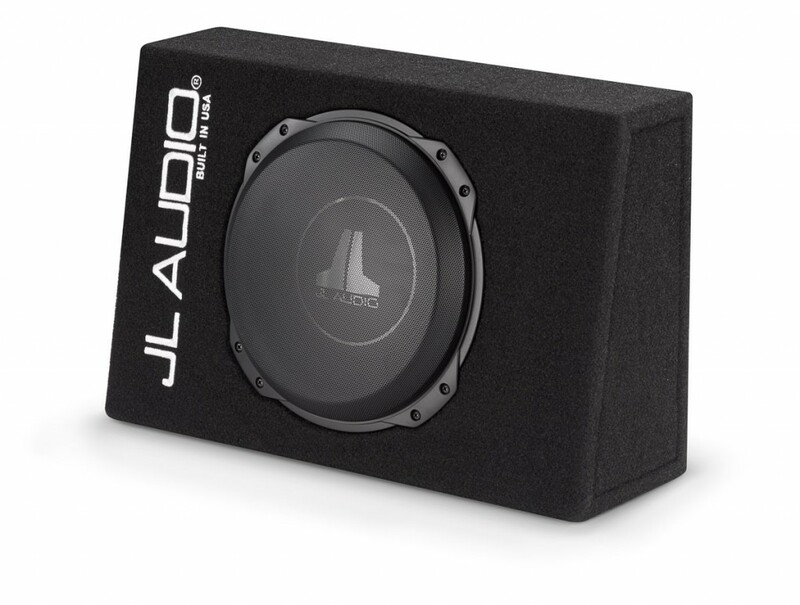 In my own 2 door coupe, I have two 10″ TW3’s, but I could definitely use a little more trunk space and am considering swapping those out for this awesome enclosure. The dual 10″ TW1 enclosure measures only 22″ x 11 3/4″ x 7 5/16″. The dual 12″ TW1 enclosure measures only 26 1/4″ x 14″ x 8 7/8″. The reason I have focused largely on space saving designs is this is what most of my own customers are looking for. They want the best car speakers for bass, but they don’t want to take up previous trunk space. They’re looking for innovative solutions that provide performance and sound quality without sacrificing their trunk in the process. JL Audio has wisely committed to this path and has countless vehicle specific options as well known as a JL Audio Stealthbox. For many consumers, there may not be a Stealthbox available for their vehicle. Even if there is, they may find the additional cost prohibitive. That is why I focused largely on these universal, space saving designs that deliver top quality sound and performance. If a Stealthbox is available for your vehicle and within your budget, I highly recommend them. You will need a separate amplifier to power this new subwoofer and that amplifier will need to receive an audio signal from your stock stereo. There are a few ways to do this. Some amplifiers have a line output adapter built right into them like the JX series from JL Audio or V power series from Alpine. This allows you to tap into the positive and negative of existing full range speakers (or if present stock subwoofer) and send audio to the amp. There is a potential drawback to using this feature, however. Many stock audio systems typically have their own self attenuator designed to prevent you from distorting and thus damaging the stock speakers. One way to tell if your car does this is to turn the bass up to an audible level and turn the volume up. Focus on listening to the bass, the mid range and treble independently as you turn the volume up. See if you notice that certain frequencies appear louder than others. What you may find is the bass pretty much stays at the same constant audible level while only mid range and treble audio levels appear boosted. I can tell you my stock 2013 Jeep Wrangler stereo definitely has this built in. It’s annoying and there’s two ways to work around this when adding a subwoofer to a stock stereo. One solution is you can add a separate bass knob. I suggest this option either way only because bass levels naturally vary from recording to recording and you’ll want to have a way to adjust that. Your stock stereo most likely will not have any kind of subwoofer control. I have seen this option in a few Honda’s and Acura’s that actually have a stock subwoofer, so check to see if you have a stock subwoofer and stock subwoofer audio adjustment level. It would be right along with the bass, mid range, treble, balance, fader adjustments, but it’s not a common feature among stock stereos. You will definitely want to have a way to independently adjust your newly added frequency range in an easy manner. Most amplifiers offer their own convenient plug in bass knob. 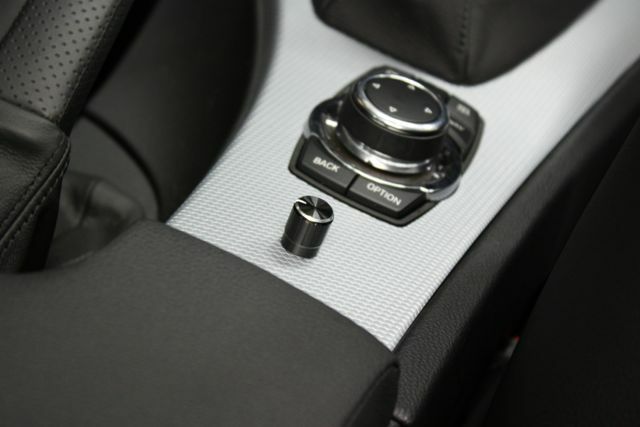 Between Alpine and JL Audio, I do believe the JL Audio style knob is much cleaner and more discreet. It’s more easily disassembled and designed to be mounted in a stealth manner like the photo above. Please note, JL Audio has two different bass knob model numbers. The HD-RLC is for their XD and HD series amplifiers while their RBC1 is for their JX and Slash series amplifiers. There are also universal bass knob options such as the LC1 from PAC shown in the image above. Don’t want to be playing with the bass knob every time you crank it up? 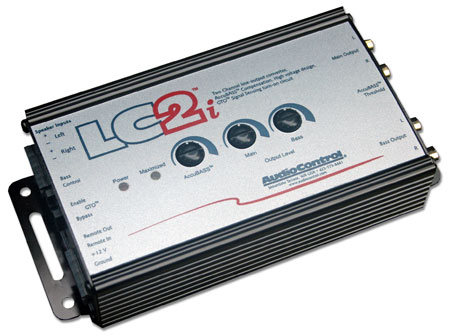 Consider using Audio Controls advanced line output convertor, the LC2i. Audio Control LC2i is an advanced line output convertor specifically designed to compensate for an bass attenuation created by a stock audio system. This cool little interface has circuitry within it designed to compensate and correct any bass attenuation created by a stock audio system. I highly recommend using this outboard line output convertor (along with a bass knob) if your stock audio system has self attenuation properties. It provides a more seamless integration when adding a subwoofer to a stock audio system. So now you know the best car speakers for bass are subwoofers and you know that subwoofers don’t have to take up all your cargo space. There are a few more details to be aware of in order to achieve the bass response you are looking for. Everything needs to be installed correctly and the amplifier needs to be properly tuned. If you are bringing this to a professional, it’s important that they understand what you are trying to achieve. In this post, I’m really focusing on sound quality and audio enhancement. I like to reassure my own customers that any subwoofer added will be tuned in a way that is blended with the rest of the audio system. If you’re going to tackle this installation yourself, you may want to read my post on how to do just that – installing an amp and subwoofer with a stock audio system along with the post on how to tune a subwoofer amplifier. Ready to shop for car speakers with bass? Check out these compact subwoofers options from Amazon. 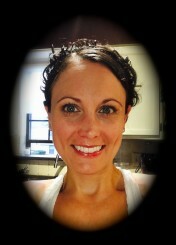 Hi Annie i have a quick question. I have a kenwood kac 9105d amp and a audiobahn immortal quad voice coil sub, how do you suggest i wire this setup? Hi Peter – I’m assuming it’s a quad 2 ohm? That’s all I could find online. I would do series then parallel for a final 2 ohm load. Kind of like this.